We mail out invoices approximately three weeks prior to the due date, which is the first of the following month. Our late policies are listed on the invoices and on our Terms of Payment page. Our online credit card authorization form is now available for download. Fill out the form and send it to us to set up recurring charges to your card on a monthly basis, update your curring information, or authorize a one-time payment. Click the credit card image to begin. 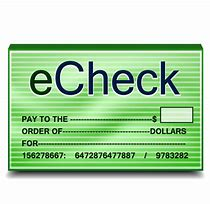 To authorize HDR to debit directly from your bank account, download and fill out the form by clicking on the image of the e-check and send it to us. Save time. Checkout securely. Pay without sharing your financial information. Send payment to admin@onalot.com and include your invoice number in the comments box.